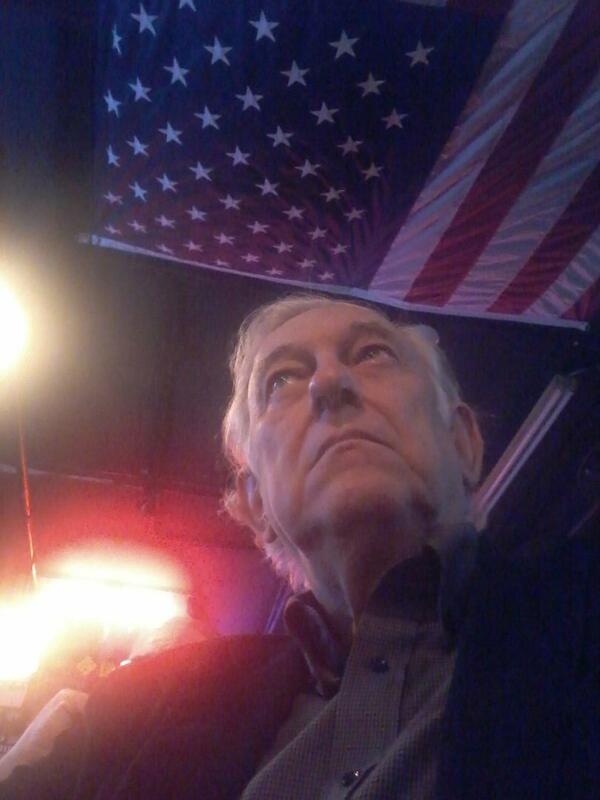 A Disgruntled Republican in Nashville: Jeff Sessions needs to go! by Rod Williams - I hate to come to this conclusion. I thought I liked Attorney General Jeff Sessions, but I have come to the conclusion he needs to go. Jeff Sessions needs to resign or be fired. He does not need to resign because he recused himself from the Russian probe; that was the right thing to do. I think he should resign, if he has any self respect, because his boss Donald Trump routinely belittles and demeans him. He should resign out of his own sense of dignity. That is not the reason I want Jeff Sessions to resign however. I want him to resign because I fundamentally disagree with him on the right of citizens in a free society, more specifically on the issue of civil asset forfeiture. His position of civil asset forfeiture is not the only disagreement I have with Jeff Session. My first disappointment with Sessions was when he revealed himself to be an unreformed hardliner on the desire to keep marijuana illegal. In January of this year he issued new guidance on marijuana which reversed Obama-era policies. His new directives gives prosecutors more leeway to enforce federal laws against the drug in states where it is legal. My view is that Congress should decriminalize marijuana and leave it up the states to determine it's status. Sessions is taking us backwards. Marijuana is listed by the Federal government as a schedule 1 drug meaning the drug has no currently accepted medical use and a high potential for abuse. This is nonsense. Marijuana is classified as worse than cocaine which is a schedule 2 drug. This flies in the face of experience and science. It is also contrary to popular opinion. Eight states have legalized marijuana use for recreational use and over half of the states have legalized marijuana for medical use and most Americans now favor legalization or decriminalization. Session is an embarrassment who still calls marijuana a "gateway drug." With the Federal government still classifying marijuana as a dangerous illegal drug, people living in those states where it is legal are still guilty of a federal crime if using, producing or selling it. This needs to change. Another issue I have with Jeff Sessions is his view on locking people up. He was in Nashville earlier this month and spoke to the conference of the International Association of Chiefs of Police. At that time he made the argument that putting more people in prison would increase community safety. He bemoaned the fact that the federal prison population had dropped in recent years from about 220,000 to 180,000 and he pledged to pursue longer sentences moving forward and he advocated for mandatory minimum sentences. This is just wrong. There is no evidence that longer sentences reduce crime. In my view, we should aggressively be exploring how to reduce recidivism and removing regulatory barriers to felons re-entering the workforce after prison. With improved technology to monitor people who are not locked up, we should be pursuing using those technologies and increase the number of parole officers and reducing the number of people incarcerated. Prison is often a training ground for making really bad criminals out of minor criminals. We should not make it hard for people to go straight but should try to make it easier. The straw that broke the camels back and made me reach the opinion that Jeff Sessions needs to go is his position of on civil asset forfeiture. Civil forfeiture is a process that allows the police to seize a person's property without the person having been convicted or even charged with a crime. To get the property back one must go to court and prove that he was not in procession of the property for the purpose of committing a crime. Often it will come about that the police stop a car for a traffic violation and the owner gives the police permission to search the car or the police search the vehicle under probable cause. Upon searching the vehicle, the police discover the driver has $5,000 in cash. They can confiscate the vehicle and the car. It may be that the person was on his way to Florida to buy cocaine, but he may have been on his way to Florida to rent a truck and buy a truck load of landscape plants for a work project. In any case, the person who had his property confiscated, in order to get it back must go to court and prove he was not in procession of the cash and the vehicle to commit a crime. This can be a lengthy and expensive process. Often people do not have the means to wage the legal battle and just lose their property. The confiscated money often flows to the police department rather than the treasury of the jurisdiction and this process has earned the name of "policing for profit." Normal jurisprudence in America assumes one is innocent until proven guilty; this is the one circumstance where that does not apply. Instead of the police proving one committed a crime, the person suspected of illegal activity has to prove he is innocent. He may never even be charged with a crime and never regain ownership of his property. Both liberal and conservative civil liberty advocates including the ACLU and organization such as The Institute for Justice are fighting against civil forfeiture. Recently, Sessions described civil forfeiture as a “key tool that helps law enforcement defund organized crime, take back ill-gotten gains, and prevent new crimes from being committed.” He is probably right about that to an extend. It does make police work easier. Police work would also be easier if the police could just lock you up until you could prove your innocence. I do not want to live in a police state. During Obama's presidency some limited curbs were put on the practice of civil asset forfeiture but now Sessions has reversed those modest curbs. The Obama era curbs were just policy and not law. We should be ending, by law, the practice that allows police to seize property without charging a person with a crime. We should be going way beyond were Obama went, not going backwards. Jeff Session is out of step, wrong, and I think he has a dangerous authoritarian streak. He needs to resign. He needs to go. 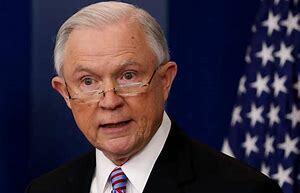 I have been hoping for some stability within the Trump administration and hoping Trump would not fire anymore of his management team but I would be pleased if he fires Jeff Sessions.